Making people money is Morgan Stanley’s primary objective. 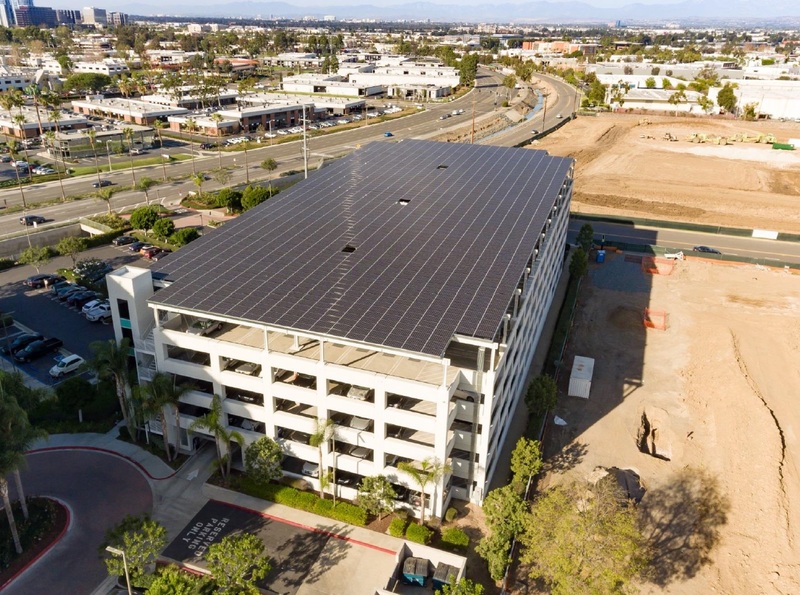 Last year, however, the owners of the Morgan Stanley building in Irvine CA focused on something that made financial sense for them: installing a solar energy system by years end to both produce on-site renewable energy andtake advantage of the associated tax benefits. Although Morgan Stanley’s Irvine, California office is located nearby dozens of other businesses and office buildings, it also happens to be within shouting distance of John Wayne Airport; proximity to a commercial aviation site that handles international flights posed a potential zoning headache. 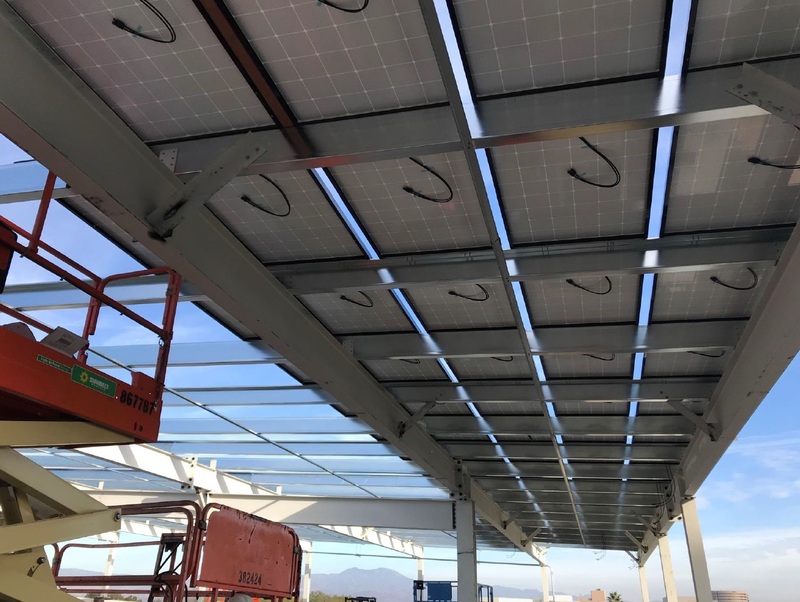 The company laid out the following challenge: armed with a signed contract in mid-June, the contractor was given explicit instructions to plan, start, and finish a massive, 404kW solar canopy by December 31st. By mid-July, the city received formal plans that classified the canopy as a shade structure. That was a no go – the plans were kicked back with instructions to resubmit the plans under the guise of ‘New Building (CNEW)’. According to the city, erecting a canopy was akin to adding an entire floor to the building. 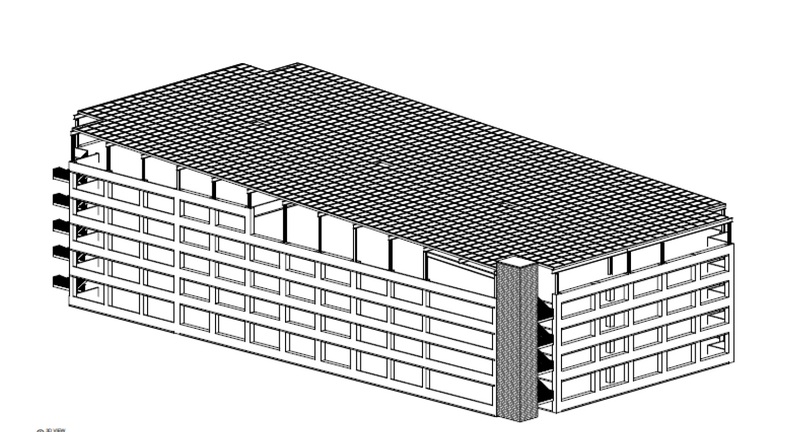 (Building a canopy apparently follows the same planning and permitting as construction of a brand new building.) An architect had to be brought in to satisfy building code issues with regards to parking, occupancy, height, etc. Then there was the airport. 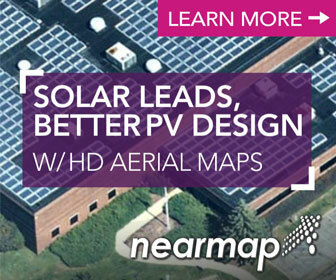 Apparently, solar panels needed special dispensation to soak up the sun. John Wayne Airport, in addition to serving as the gateway to Disneyland (and boasting the reputation as one of the country’s scariest airports thanks to a shorter runway and steep takeoff angles), it’s also classified as a primary commercial service airport. Which basically means that no extra floors/canopies/new buildings were getting permission without a full FAA review. Translation: the application had to go through 10 departments within the agency. Lots of anxiety – and, 45 days of review later - it was passed. The official permit still had to make its way through a jungle of bureaucracy. Without a permit in hand, it was a gamble to start the off-site fabrication of steel in September, but there was no other way the canopy would even have a chance of getting completed by year’s end. In early November, when the permit finally arrived and construction was given the go ahead, it appeared that the gamble had paid off. The site had been scanned, the steel was in motion, and the columns, beams, and purlins arrived on November 20th. Teams of skilled laborers swarmed on the rooftop. The action began on the south end of the structure, installing the steel skeleton of the canopy. The solar panel installers chased the steel workers from south to north. On a typical sunny southern California day, December 12th, the last panel was put in place. An achievement, to be sure, but that left just 19 days to make the building owners strict deadline. Although the solar canopy sparkled in the sunlight, it wasn’t connected to anything. Over the next two weeks, the race was on to trench 500 feet through landscape, hardscapes, curbs, sidewalks and core. Only then would the system be able to connect to the building’s main service panel. In a matter of days, the inverters were hung, the system was fully wired, and it was all plugged into the building’s power center. If you ever happen to be flying out of the John Wayne Airport, and want to get your mind off the disconcerting angle of the plane’s takeoff, look for a giant solar canopy atop 1901 Main Street (northeast corner of Main & MacArthur) - you’ll be able see a modern engineering miracle of sorts. Even though the City of Irvine said the mission was impossible, the solar system has been up and running since its commissioning – offsetting building energy load andgenerating tax incentives for the system owner. 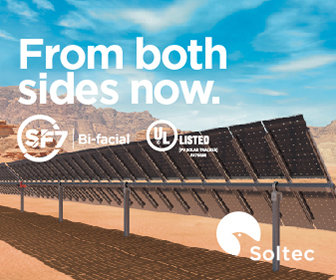 John Hoffman is the CEO of SunGreen Systems, a full-service solar contractor in Southern California that specializes in solving solar energy challenges for their clients. John has 11 years of experience in the fields of sustainability, solar energy integration, and LEED construction.